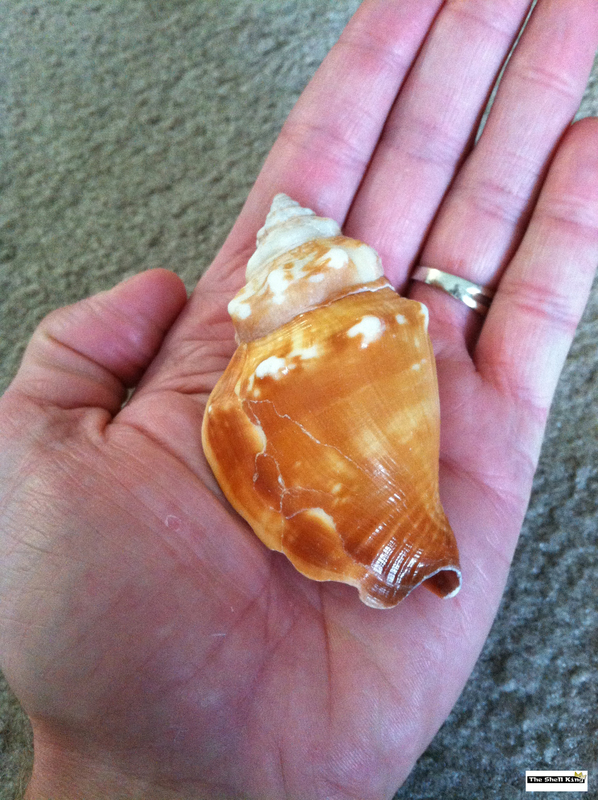 A small-to-medium sized conch, the Fighting Conch is normally about three-to-four inches long with a color pattern that ranges from tan to brown. It’s a very popular find in South Florida. If you find one with a live conch inside, gently place it back into the water. They don’t sting, but they have a pretty wicked slap! They have a tail/leg of sorts that moves them along in the water. If they’re angry while you’re holding one, they can slap that thing pretty hard.